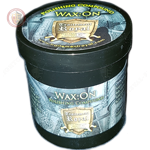 Please Note; This item is on sale as surface rust has developed on one half of the buckler. It can be cleaned and will not affect functionality. 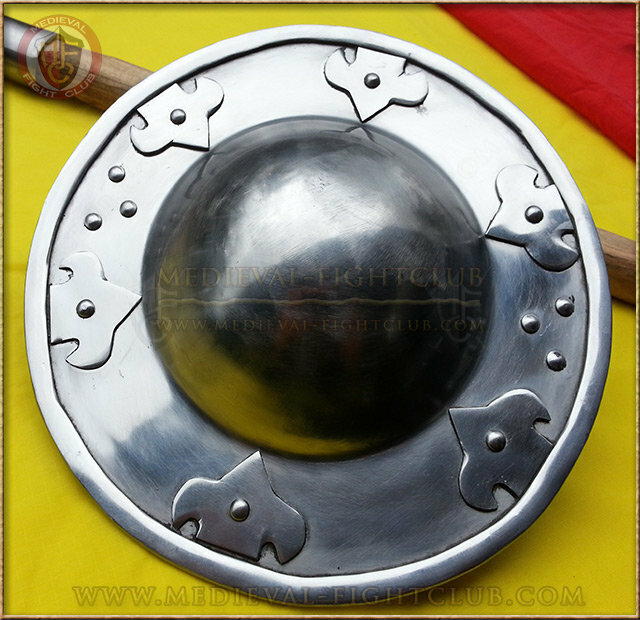 A buckler is a small shield that is gripped in the fist. 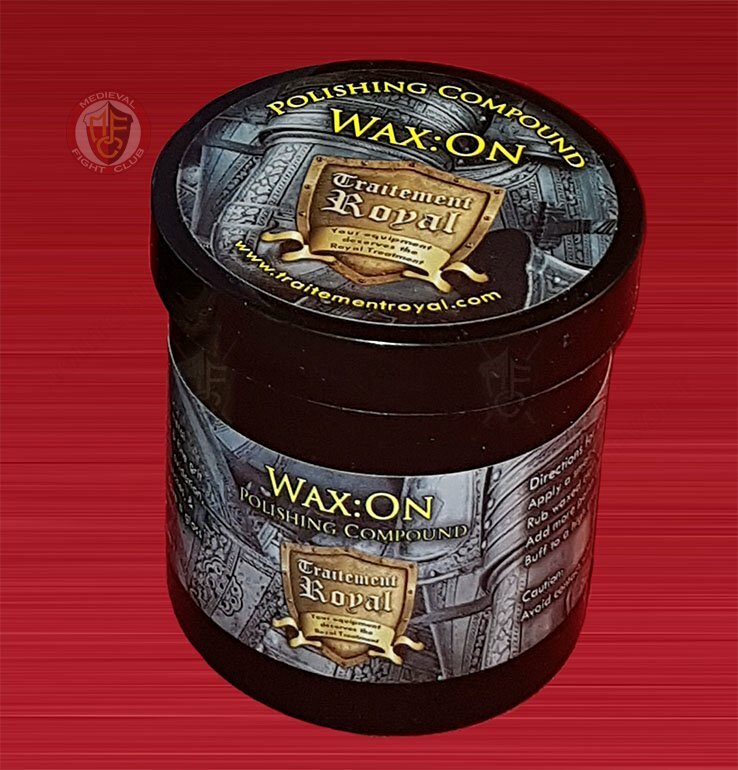 This on features six Fleur de Lys pointing inward on the shield. Although strictly speaking this is a buckler, it is almost large enough to be a small shield. 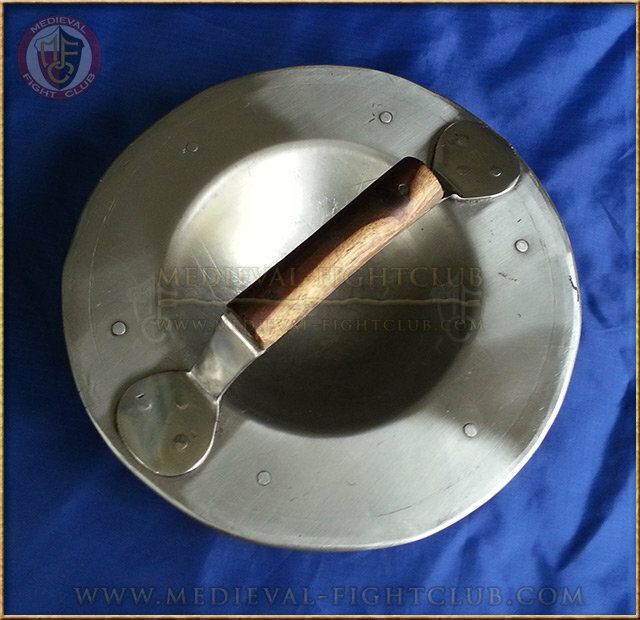 The buckler was generally used as a companion weapon in hand-to-hand combat during the Middle Ages, as its size made it poor protection against missile weapons, such as arrows, but useful in deflecting the blow of an opponent's sword or mace. 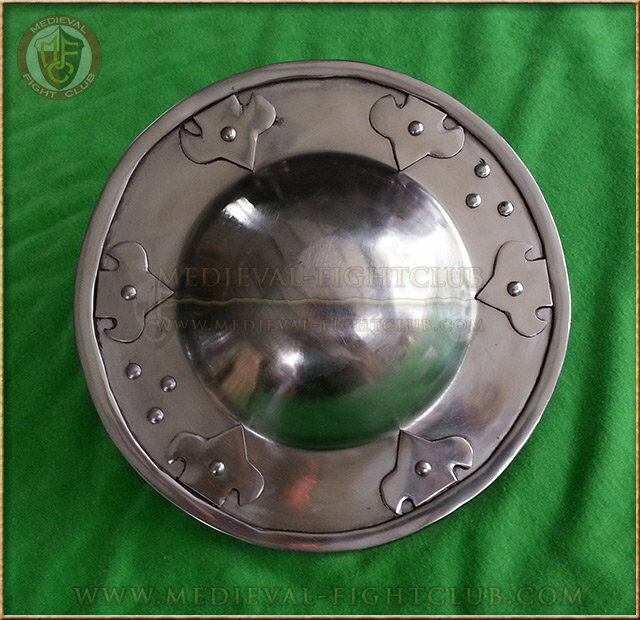 This battle ready buckler is made from 1.8mm steel. A steel handle is attached. 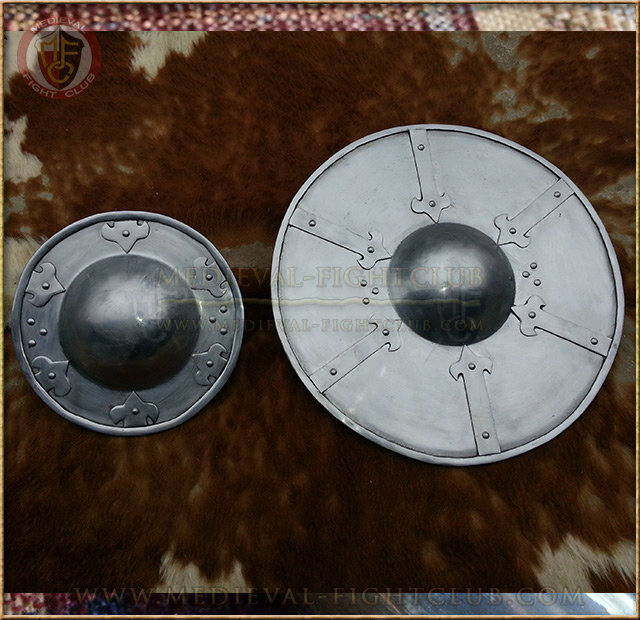 Solid Steel Buckler - 14.5"